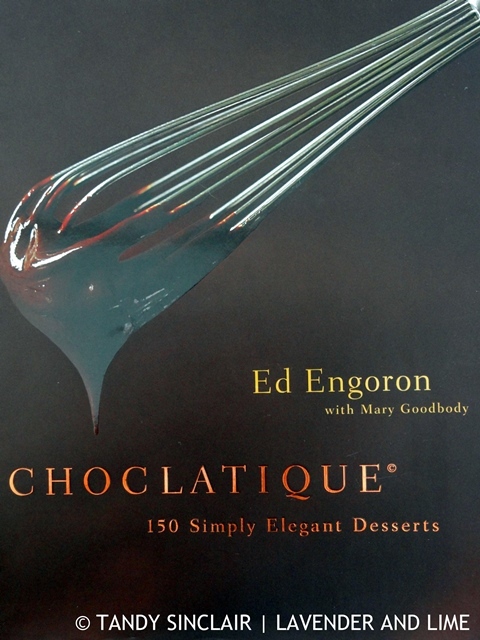 According to Ed Engoran, a simple foolproof ganache is all you need to make professional quality chocolate desserts. I was given Choclatique for my birthday in 2014 and it has been pushed to the bottom of the pile each time I receive a new book to review. chocolates out of the box! The best part of these building blocks is that they can be made in advance and kept in the fridge. The key is to follow the basics and use the best you can afford, making sure it’s chocolate couverture. Even though this recipe book is always in my kitchen I have only made marshmallows and one of the ganaches. The recipes are easy to follow and the results have been good. Chocolate can be stored up to a year and it’s worth noting that the bloom that might form is harmless and will disappear once the chocolate has been melted. Use for baking if you don’t feel like tempering it to restore the sheen. If a recipe calls for 3 tablespoons of Dutch pressed cocoa powder you can use natural cocoa powder with the addition of 0.625mls bicarbonate of soda. If a recipe calls for 3 tablespoons of natural cocoa powder you can use Dutch pressed plus 0.625mls cream of tartar. When adding warmed chocolate to other ingredients try and ensure that they are the same temperature. Not every recipe has a photograph which makes it difficult to know what exactly had been made. They list whether they are gluten free, vegan and/or dairy free. Also listed is the special toolbox of equipment needed for the recipe and some include interesting factoids. The book ends with the timeline of chocolate innovation and a chocolate glossary. A worthwhile buy if you are a chocoholic. Dave and I leave for overseas tomorrow. We will be back at work on the 2nd of May. I will start replying to comments then. I won’t be able to read any blogs while we are away so please forgive my lack of visiting back. You can follow our trip by taking a look at our holiday blog. Wow! This sounds like my kind of book :). It’s hard to go wrong with a book dedicated to chocolate! Have a great weekend, Tandy! Thanks Kelsie. We are about to get on a plane to Paris. The recipes in the books sound seriously delicious – I just love chocolate 🙂 Have a great Easter holiday! Thank you Miriam. And you as well. So frustrating – I also wished there was a photo for aeach recipe! Love your tips though! Cant beat chocolate for this time of year! Who is not going to like this cookbook? However, I do prefer cookbooks with photos of each recipe. I must try and make them soon. I do wish all cookbooks had photos of what the recipe is supposed to look like when completed. Yum, ganache, well anything chocolate! Great tips too! Anything with chocolate works for me as well. I wish cookbooks had photos for every recipe. I rarely want to make something that I can’t see. It’s one of the first things I learnt when I started blogging. 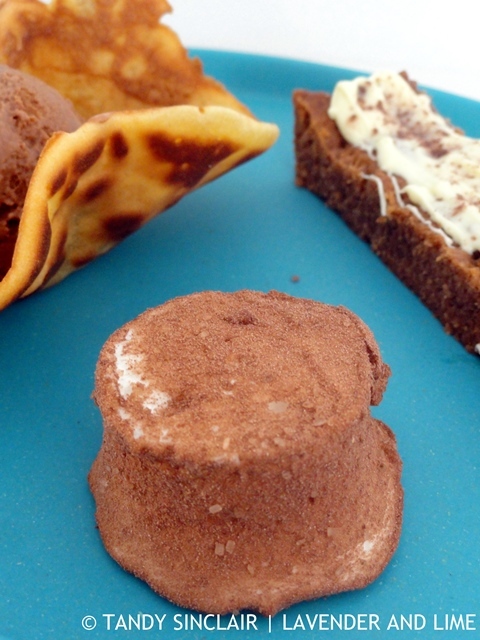 Who doesn’t love a good ganache and those rose water marshmallows look, fantastic. Love all those facts about chocolate. The facts were very interesting Anu. I do love a good ganache. 🙂 Hope you have a fantastic trip!